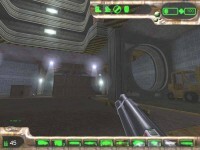 Map Description 7 Bullets is the follow up to the Team Phalanx release of Xidia and Xidia Gold. 7 Bullets is a 14 map SP campaign set on Na Pali, the setting of Unreal, Return to Na Pali, and ONP. It follows the character Jones in an adrenaline pumping action/adventure. The Mod comes complete with new weapons, enemies, sounds, textures, and a totally new soundtrack. Multiplayer bonus material also included along with exclusive DM maps.7 Bullets was created by Red Nemesis, a team led by Nali City Reviewer and Team Phalanx Mapper Mr. Prophet. The team members include Darthweasel, Waffnuffly, eVOLVE, UsAaR33, UArchitect, Zynthetic, Darkbeat, Eightball Maniac, and Frieza. Single player fans rejoice! Tired of the one map campaigns where the only plot twist is a broken lift? Well if you'll allow yourself to skip your "me-time" just this once and read this review, I'll let you know what 7 Bullets has in store. Continuing from Sky Town Redux, your mission, as Jones, is to retrieve data still left on the ISV-Kran, and this is where the campaign begins. In the dark vents and halls of the structurally unsound Kran. Of course, like most any single player story, when your goal is so near, there comes the twist. Which then leads you backwards from the original Unreal's route from the ISV-Kran, all the way back to Noork's Elbow. While it may seem as if you're revisiting the same scenery again, well, you're not too far off. But don't worry too much, Team Red Nemesis made sure there was plenty of new content for your eyes to feast upon. And oh was it a feast! 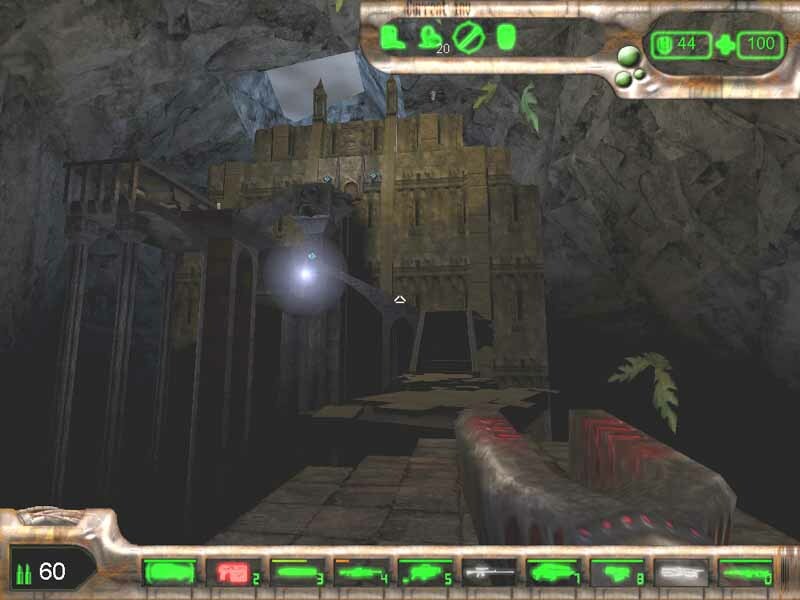 Whilst you are backtracking through the Unreal campaign we know so well, it can't be the same exact route we once took with all the cave-ins and what have you. You'll find yourself wandering in new caves and other ancient Nali ruins. Figuring out new puzzles, facing familiar foes, even riviving foes from Return to Na Pali, so if you haven't played that, you're in for a creepy surprise. One of the big parts is how they got you around certain obsticles. 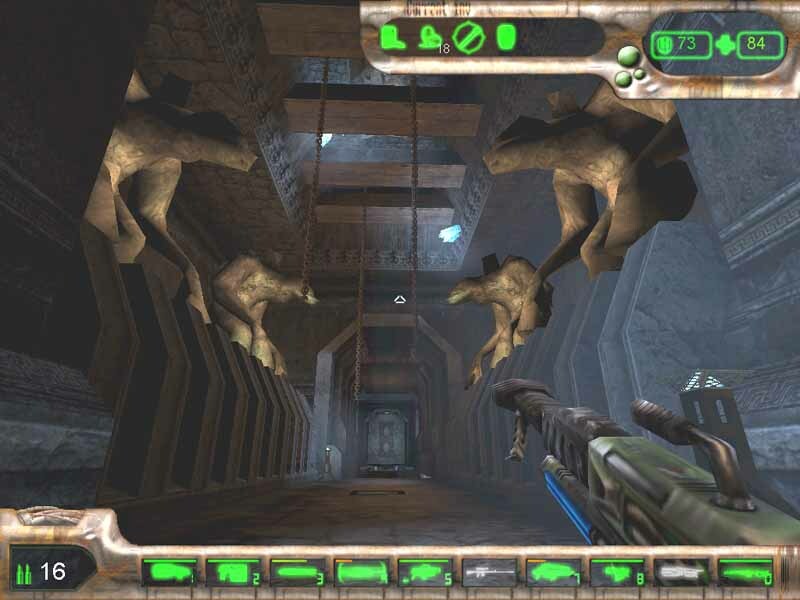 Such as getting back into places which became blocked off from collapsing ceilings and the such from Unreal 1. Many of these routes detour from your objective some as expected, but it is far from disappointing. New Nali temples to visit, caves to explore, and many other pretties to see. Gameplay isn't too difficult, nor too easy. I ran through the mission on Medium setting, to give me time to stop and do reviewer stuff (classified info ;-) You'll come across your run of the mill Brutes, Tenticles, Skaarj, and even everyone's favorite- The Titans! And oh boy the titans can be a pain in the behind, but I won't spoil that surprise. As mentioned above, there is a nice critter from Return to Na Pali which makes several appearences. There's also a rather familiar enemy showing too, whom provide numerous annoying group attacks and battles which took me several attempts to conquer. But have no fear, the game is not all difficult battles, and nothing too repetitive through it all. You'll have time in between fighting to stop and smell the nali fruit (or eat them if you so choose). There have been some modifications to the weapons, mostly the pulse gun and the enforcers; also, the quadshot makes a valiant showing. I particularly like the enforcer enhancement, making it more of a true atuomag. The team even through in clips that can be reloaded, which comes in handy, but also something that needs to be taken notice of in battle, especially for the quadshot. As for items and health, there's was plenty to go around. The guys added in nice med kits which you collect like items (like flares) and use them when needed. It's like playing Unreal, with burgers to go! All gripes are minor compared to what the whole 14 map single player mission brings you. A little bit of nostalgia, with scoups of fresh awe, and enemies to kill for mixing! If you're a Single Player fan, or have even played the original Unreal completely through, you owe it to yourself to download 7 Bullets right now and play it. DLing, will add edit when done, dunno how Xidia was, everytime i was beating up those 3 warlords, and when i cleared it, it said it was loading, but i could still shoot & stuff, i waited for a very long time, still i could shoot, walk, hurt myself, etc. Well it's about this mod, the thing looks pretty big, 134 MB, wow, almost nineteen hours until it's done 0_o, i'll load this in my free time, seeya! Wow, was DLing it from the direct BU link, turns out the server is just slow =P, ten minutes now. the story was well told, i only saw 1 bsp hole in the ENTIRE game, and only once. 10 cause 1 cut isnt enough to settle it down to a 9.5.
i've already played it 3 times. edit: Martin, u idiot. use the flashlight! THE LEVELS ARE SUPPOSED TO BE DARK!!!!! About Xidia Incident not ending: You need a file called Tropheus.umx, which was renamed Credits.umx in GOTYE (or so it seems). You could try renaming the file, or Google for Tropheus.umx. I got it from the Team Phalanx site. seriously , the beginning in the kran is very dark and are not very original , but after , it's totally awesome with great oudoor zones , solid architecture and nice effects ! What a great job !!! EDIT : I played 4 hours , it's time to go bed !! I don't need to read any coments here..... All I needed to read was the author name. "Mister_Prophet" When I see that name I know it will be worth the download. There is only 1 problem. I keep getting lost in the d***ed ship. SFM => "Wohoo, now it'll take me 10 hours instead of 30. (Screw you, Verizon.)" 10 hours??? To download??? what are you on? DSL? It took me 15 minutes to download thank god I just trashed 56k. (And yes Screw you, Verizon / AT&T) They wanted me for dsl I have comcast cable. I just saw the rateings on the page where I have to Dload the patch for the umod version. For the people who voted a rateing of 1 can bite me! I mean that is really wrong in giving this mod a 1. you must be f****ng crazy. Excellent pack but I'm not without my criticisms! What happend to hourences ??? Somthing worth playing and seeing and fun,if anyone wants a new game intead of going to the store, this will hold you over,till you do hit the stores. Some maps in there are just fricking cool cool cool,allmost like they don't seem like they could even work being how much archy and things for unreal engine. This for me is gradeA,only if i could post a 10. And for the file size, it's way worth getting and playing through it all. Happy Dead Guy is lost for words! VERY EXCELLENT! This brings me back to the old Unreal days..How I miss those! 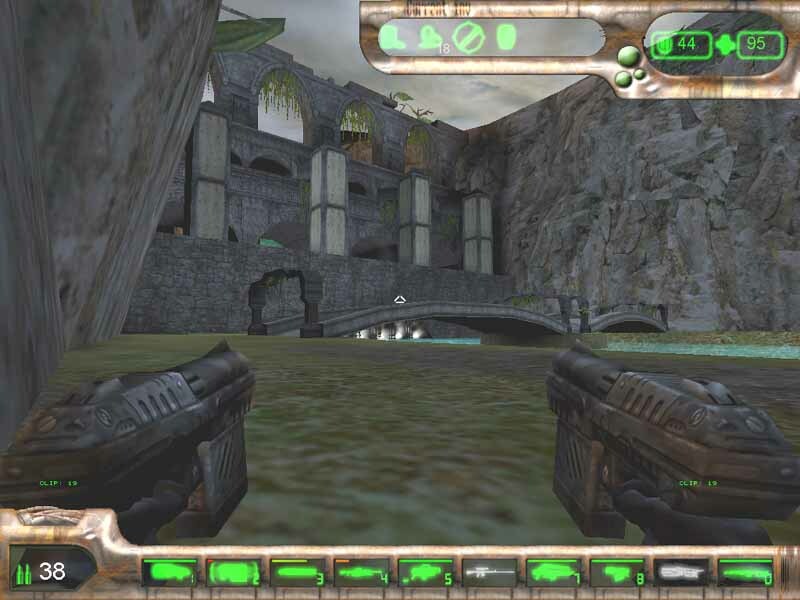 Man....Unreal was one of the best games ever for its time! Great umm, Mod? Anyhows, I love it! I want more mods like this! After dismissing UT99 after trying UT2004 for longer I d/l this SP and hey! (after 45mins on 512DSL) it's very good. I like it when people Mod well. Heh Martin, use the blue-shot gun to see where you go it adds it own bullets (slowly) I found. Took me about an hour to find my way out of the 1st level (after the great video,a bit like The Matrix). I raised my rating due to (I think) the 4th level. Most of the maps are too dark. I had to load them every 10 minutes in unrealed to find out where to proceed. Question: Downloaded it but it doesn't seem to work. Regardless, the Old Skool mutator (which does work) has taken over all the audio in the game. Any other maps I've downloaded now have the Menu default song when I play them; all the music trax that came with the maps don't work. Any suggestions on how to fix? We all appreciate the comments (and the review). It took a long time to get this one done, with bugs and a ton of delays. And seeing so many people enjoying it just makes it all worth it. EDIT: To anyone having problems getting the game to start, make sure you followed the steps and requirements in the readme. Alot of the time when people ask about this sort of problem it's because they lack the latest patch or neccessary bonus packs...or simply installed files in the wrong folders. It took only 5 minutes to download here, and it plays very well. Please make more!!!!! For me, and I'm sure many people, when you first start a mod there is an acceptance period, where you make the decision whether you want to play the rest of it or not. I almost gave up on 7bullets in the first level. For me ISV Kran was one of the worst parts of the original game, so starting on those levels was always gonna be putting it on the back foot as far as I was concerned. However I persevered. By the end of Infiltration of the Kran I was thoroughly hooked. What inspired me most was the way Prophet had "decayed" it so much as it would have during its time abandoned on the surface. Lovely. And spooky with the lights off. By the time I emerged from the other end of the Kran I was emersed in not just fantastic gameplay, but an interesting storyline as well. It's been a while since I've played a single player computer game all day, (the last time being Half Life 2) but 7Bullets persuaded me to. Onwards to Darthweasel's levels, which felt like an epic oddysey. 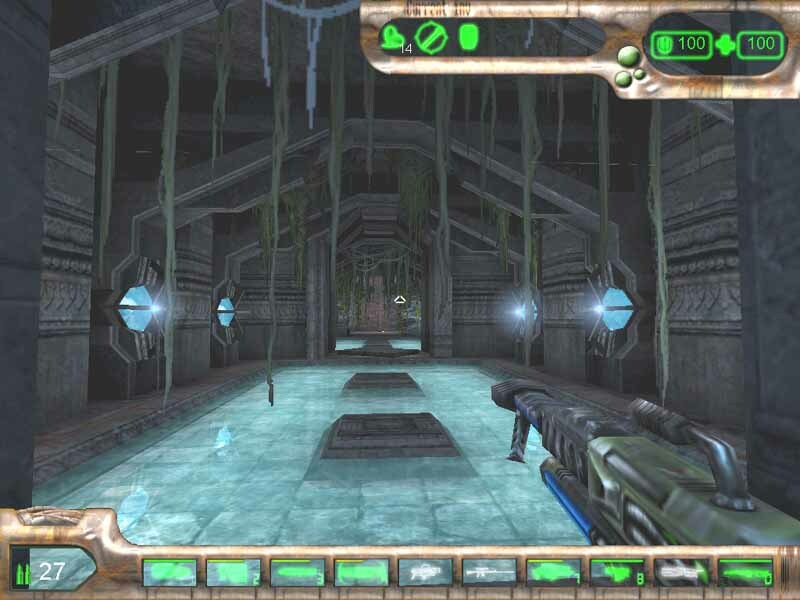 The architecture and atmosphere in these levels was sublime, putting many UT2004 levels to shame. And somehow there just didn't seem to be any BSP errors. How????!!!! And the new enemy that is revealed in theses areas for the first time. Very scary, especially for those suffering from a certain phobia. Next came more of Prophet's work, located in appropriately (and I'm sure by no accident), a Nali Prophet's temple. Same great atmosphere and architecture and an emphasis on puzzle solving that made me think I was playing Half Life, not Unreal. The "Bridge of Khazad Dhum" inspired ending to this level (currently pictured on the Featured Map area of the Nalicity homepage) took my breath away. Hats off to Mr Prophet here. Onwards again to the Remix of The Temple of Vandora, sublimely done, and once again beautifully integrated with the original level. The boss creature in the bowels of this level was both terrifying and challenging, to the point that I reloaded my game after beating it?/him?/she? (probably a she). Lovely. Then out on Nooke's Elbow as you've never seen it before. Lovely idea, the degradation of the place, and implemented oh so very well. Negatives were few and far between. One thing that would have been great would have been an autosave feature, as there were several times when I got so carried away I forgot to save, died, and had to backtrack to a point many minutes before. I also thought the cutscenes weren't upto the quality of the rest of the project. They did the job, and the dialogue was good, but I'd like to have seen better. (The redeemer one was nice though!) Maybe a more dynamic camera style would have helped. Then again I only really know the Matinee Editor in UT2004 so I don't know how much harder cutscenes are in UT99. All in all. A fantastic experience, and one for which I'd like to thank each and every person involved. I'd love to be involved with this kind of project one day. Lets see more of the same in the future!!! 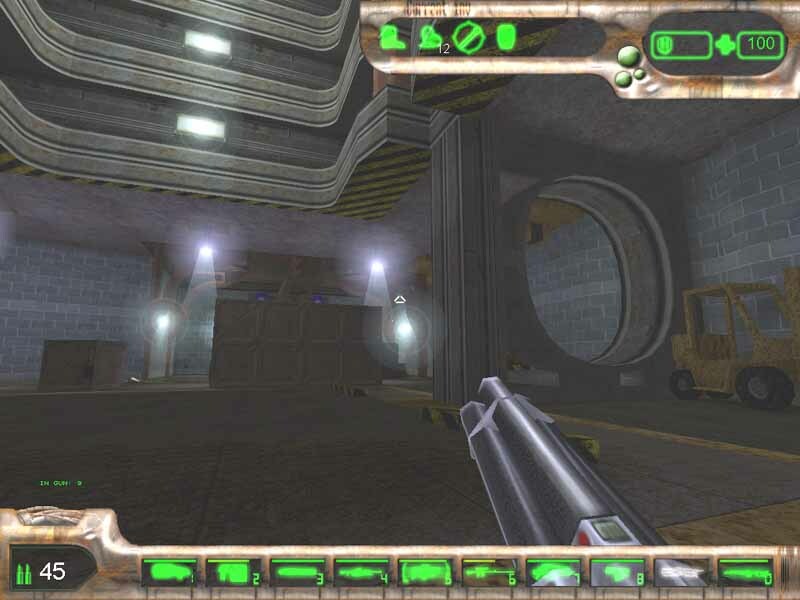 Great SP for Ut99,took me ages to work out the 1st level with the duct/air hole.. Very good, even though the later foes (avoiding spoilers) caused me some frustration on my first time through (my detailed comments are on the 7 Bullets board itself). This is one of the best SP experiences I have ever had period. its good like the original Unreal was, and its got replay value. Download it if you havent for some reason! !